Honestly, I have no idea what screenwriting books you should be reading. I hate the whole idea of “should.” The only thing you “should” NOT do is automatically take someone’s advice. This book was handed to me in my first day of film school. It teaches you how to write, format and sell your script. I never read the parts on selling or writing your script, and I have no idea if that information is helpful. However, the information this book has on script formatting is priceless. The Screenwriter’s Bible is a clear reference guide that gives you the basics of script formatting with a handy index and glossary at the back. If you want to know all the formatting rules, this is your book. Now once you learn the formatting rules, don’t take them too seriously. All rules should be learned so you can effectively use, break and bend them to tell your story. 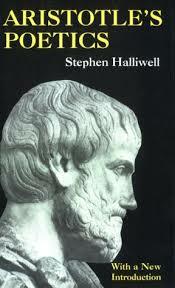 This work was composed around 330 to 350 BCE and is still relevant today. When reading Aristotle, keep in mind that “poetry” means “to make” or “invent” in Greek. The theories proposed in this book apply to all forms of storytelling, and Aristotle will help you understand how to structure a plot and create dramatic tension. Most of your modern screenwriting books are based on his drama theories, so why not go straight to the source? And because this book is in the public domain, you can download it for free. 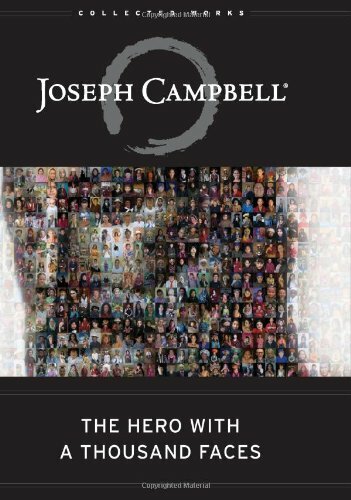 Everything you need to know about characters can be found in Joseph Campbell’s work. Tracing all the way back to the foundations of storytelling, Joseph Campbell breaks down character archetypes and shows how to tell universal stories that connect with any audience. The names, faces and formats change over the years, but all storytelling has certain things in common. Joseph Campbell is the best at explaining how it all works. Personally, I think you’ll learn more from reading actual screenplays than screenwriting books. So take my advice for what it’s worth. I’m off to pour myself a bourbon. Cheers! This entry was posted in Booze, Film, Writing and tagged Aristotle Poetics, books, bourbon, Hero With A Thousand Faces, Joseph Campbell, movies, Screenwriter's Bible, screenwriting, Stephany Folsom, StephanySays, storytelling, writingtip. Bookmark the permalink. I think John Truby’s ‘The Anatomy of Story’ is the best I’ve ever read, and I’ve read an awful lot of them. I highly recommend the Save the Cat! series by Blake Snyder and then following http://cockeyedcaravan.blogspot.com as well. I was having a hard time structuring the novel I’m working on – it just seemed so daunting – still does, though at least I’ve got it drafted – and Save the Cat! saved me. The Cockeyed Caravan builds off Snyder’s work with a lot of films as examples. One of us needs to write a book that details structure to this extent for novels. We have to learn from the movies – and then hope they turn our novel into a movie – though I have a weird idea of writing a brilliant novel that everybody would like to make into a movie but can’t. And yes, I know this also has already been done before. Now, though, I just want to get my first one finished! Nice blog, Stephany. I hope to stop back soon. Best. Thank you! Best of luck with the novel. I’m a big fan of weird ideas. QL (cool)! Keep in touch!